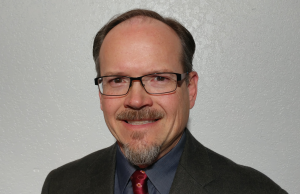 BOARD CHAIR Dr. David J. Hill is a technology and management consultant in Boise, Idaho. An internationally acknowledged expert on nuclear technology and policy issues, Dr. Hill has extensive experience in the area of international nuclear cooperation, working with the countries of both Western Europe and the former Soviet Union. From 2005 to 2012 Dr. Hill was deputy laboratory director for Science & Technology at the Department of Energy’s Idaho National Laboratory, responsible for the science and technology strategy for the lab and for about 1B dollars of R&D programs pertaining to nuclear energy, national and homeland security, and clean energy. In the State of Idaho, Dr. Hill was appointed to the IGEM council in 2012, where he is now the chair, and the State Board of Education in 2014. He holds a bachelor’s degree in mathematics and a doctorate in mathematical physics from Imperial College, London University, and an MBA from the University of Chicago. As Executive Director of the Micron Foundation since 2006, Dee Mooney drives the Micron Foundation’s programs aimed at advancing science and technology education and enhancing the quality of life in Micron’s manufacturing site communities. Dee collaborates with internal and external partners to develop, maintain, and improve programs as well as develop strong partnerships with community and educational organizations. The Foundation provides more than $5 million in grants annually around the world. Prior to Micron, Mooney worked for Albertsons Inc., serving as its director of charitable contributions and community relations. In this role, she also served as vice president of Albertsons Stores Charitable Foundation and president of Albertsons Assist Foundation. 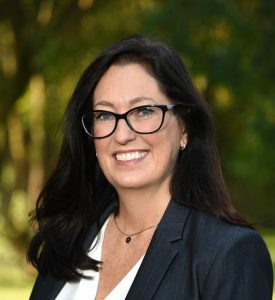 Mooney spent more than eight years with Albertsons, where she held a variety of other positions, including investor relations manager, special projects manager to the CEO, and integration analyst. Prior to Albertsons, she worked for Andersen Consulting as a change management consultant. 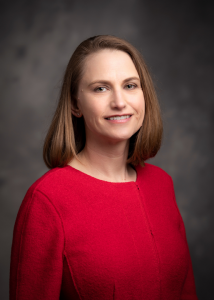 Mooney holds a bachelor’s degree in psychology from Iowa State University and a master’s degree in industrial psychology from University of New Haven. Mooney serves or has served on the following non-profit boards and committees: Power Engineers Foundation Board, Treasure Valley Educational Partnership, Women and Children’s Alliance, The Leonardo – Center for Arts and Science, Special Olympics World Winter Games 2009, St. Luke’s Health Foundation Board, and St. Luke’s Children’s Hospital Advisory Board. She enjoys spending time with her two young daughters and her husband. Von Hansen is currently President/CEO of AlertSense, Inc., an Idaho-based software company. AlertSense has become a leader in providing cloud-based alerting and critical communication solutions across the country. Previously, Von spent 38 years at HP, where he was Vice President and General Manager in the Imaging and Printing Group. Von is known as an innovator in product development, bringing to life some of HP’s most successful products and businesses. Von is currently the Chairman of the Idaho Technology Council and has been actively involved in helping to grow technology companies across Idaho. In 2012, he was appointed by Governor Otter to the IGEM council with a focus to create technology jobs by accelerating technology transfers from Idaho universities to the private sector. Von holds a bachelor’s degree in Electrical Engineering from Utah State University and a Master’s degree in Electrical Engineering (with emphasis in Computer Science) from Stanford University. Jennifer Jackson is the K-12 STEM program manager at Idaho National Laboratory. Jackson has nearly 20 years of experience as a teacher and educational leader in Idaho, including as the director of Curriculum and Professional Learning for Idaho Falls School District 91, where her duties included designing and implementing multidisciplinary K-12 curriculum, developing strategic partnerships with state and national educational organizations, and a variety of other policy and management responsibilities. INL’s K-12 STEM program focuses on student outreach, teacher professional development, family engagement and more. Jackson also interfaces with Idaho tribes, community colleges and technical schools on behalf of INL. These partnerships with STEM-focused organizations allow INL to help eastern Idaho foster an integrated STEM program that will enable the best possible opportunities for Idaho students. 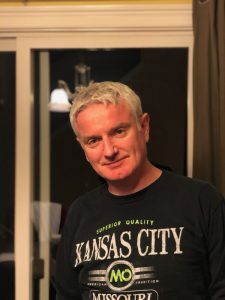 Tim McMurtrey attended the University of Idaho and in the spring of 1978 transferred to and graduated from Boise State University with a Bachelor of Arts in Elementary Education. McMurtrey taught sixth grade for three years in Twin Falls, Idaho, and then returned to his hometown of Mountain Home and taught sixth, fourth and third grades in the Mountain Home School District. While teaching, McMurtrey attended the University of Idaho to obtain a Master of Education Degree in Educational Administration. In 1987, McMurtrey started his administrative career as principal of East Elementary in the Mountain Home School District and then went on to become principal of Stephensen Middle School for five years, then principal of Tom W. Hacker Middle School. 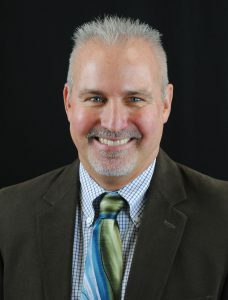 McMurtrey received his Education Specialist Degree from the University of Idaho and moved to the Mountain Home School District Office where he served as Curriculum Director, Assistant Superintendent, and during his last ten years served the district as Superintendent of Schools. Along with involvement in public education, McMurtrey has been heavily involved in community organizations. Past and present involvement includes membership in the Mountain Home Lions Club (President, Vice President, and Secretary), Mountain Home Jaycees (Charter President), Our Lady of Good Counsel Parish Council, Mountain Home Library Board (Chairman), Elmore County Impact Steering Committee, Mountain Home Elks, Mountain Home Vandal Boosters (President), Military Affairs Committee (Board Member 2004-2007), and a CYO Youth Instructor. In 2015, McMurtrey took the position of Chief Performance Officer/Strategic Planner with the Idaho State Department of Education and currently serves as Deputy Superintendent of Operations for Superintendent Sherri Ybarra. Tom Kealey is the Director of Idaho Commerce. Director Kealy is responsible for leading the state’s economic development efforts, fostering a business-friendly environment to aid in job creation, support existing companies, strengthen communities, and market Idaho domestically and abroad. Director Kealey received his M.B.A. from Harvard Business School and B.A. from the University of Washington. He has held numerous senior business roles in Fortune 500 companies and is a long-time Idaho business owner and investor. 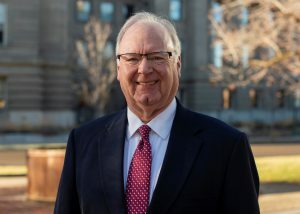 Director Kealey was appointed by Governor Brad Little in January 2019. Jeff is an Idaho transplant, a Missouri native who has spent the biggest portion of his life so far living and working in Nevada. Before becoming a full-time Idaho resident in June 2016, he owned a home in the Boise area for seven years. As the Director of Continuous Improvement for Hecla Mining Company, his role is to help employees identify opportunities for making improvements. To do that, he provides training and assists others in applying problem-solving tools. Additionally, his role includes seeking out and tracking advances in technology that could bring benefits in safety, productivity, and efficiency to the company’s operations in Idaho, Alaska, Nevada, Mexico, and Canada. Jeff has a degree in mining engineering and has worked in the gold / silver, lead / zinc, salt, coal, and dimension stone sectors of the mining industry. Just prior to Hecla, Jeff worked for Barrick Gold Corporation in northern Nevada for 25 years where he held multiple, progressive roles in engineering, maintenance management, operations management, safety and health, project management, and business improvement. His career also includes positions with Komatsu Equipment and as an independent consultant. In his spare time, he enjoys hiking, cycling, kayaking, and genealogy. Recent home remodeling has produced a modern new kitchen where he can now enjoy his love of cooking. Next fall he plans to return to a past interest, officiating high school football. Jeff lives in Coeur d’Alene with his partner Melissa and their two dogs. Jani Revier is a fifth generation Idahoan, born and raised on a ranch in Three Creek, Idaho. who strive to make a difference in the lives of job seekers, employers, government officials and Idaho citizens. the Department of Labor, Revier was the administrator of the Division of Financial Management for six years under Governor Otter.